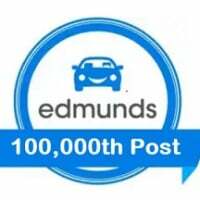 Welcome to Edmunds discussion dedicated to 2015 Fiat 500 leasing questions. Here you can find and discuss all the latest lease details for the 2015 500, including cap costs, money factors, residual values, acquisition fees, etc. Please post any leasing questions you have, or any details you’d like to share about your own lease deals. You can also research local dealer inventory and pricing, reviews, features, and specifications on Edmunds 2015 Fiat 500 page. Hi guys, Im looking to lease a 2015 Abarth manual transmission. Can you please tell me the money factor and residual for 12K a year? Hello! Can you please obtain for me the money factor and residual for leasing a 2015 Fiat Abarth Auto in VA? I'm looking for the best terms available and am assuming a 39 month 12k miles per year lease. Thank you in advance! .00015 and 49% for 36/12. 39 month residuals are not competitive. Thanks for your prompt response Michaell, this is a big help! Hello, I was wondering if it would be possible to get the residual and money factor for 2015 Fiat Abarth Auto and Manual. 36 months 10k and 12k miles. Thank you! .00015 and 49% for Abarth Auto 36/12. Subtract 1% for manual. Add 1% for 10K. Hello Michaell - I'd like to verify the lease rates for a 2015 Abarth Auto for March for a 36/12k lease. Are they the same (0.00015 and 49%) as they were for February? Thanks! Hello - Does Chrysler Capital offer lease terms shorter than 36 months? (e.g. 24 or 27 months)? If so, I'd be interested in Residuals and MF for 10K and 12K on 500 Sport automatic. .00046 MF and 54%/53% for 24 months. Is the pop the same? .00028 MF and 45% residual. Hi, I am looking to lease a 2015 Fiat 500 sport with automatic transmission in Houston, TX. Lease terms that I am considering are 12K/36 months and 15K/36 months. Please let me know what the money factor and residual is for these. Thanks in advance. .00028 and 43% for 36/15. Add 2% for 12K. Hi! Hope I am in the correct forum - looking for MF and residual for 2015 500L Lounge (3). 10K and 12K miles, 36 month lease. Thank you!!! MF and RV for 2015 Fiat 500 "Pop" in Wisconsin. 44% and 36% ???? OMG. Yes.. but, $7500 lease cash and $500 dealer cash... That makes up for a lot of it..
Hello looking at leasing a 2015/2016 Abarth manual transmission in California. Can you please tell me the money factor and residual for 12K a year? 2015: .00094 MF and 31% residual for 36/12.